Known worldwide. Cosmopolitan and traditional. Timeless and modern. Spectacular and simple. 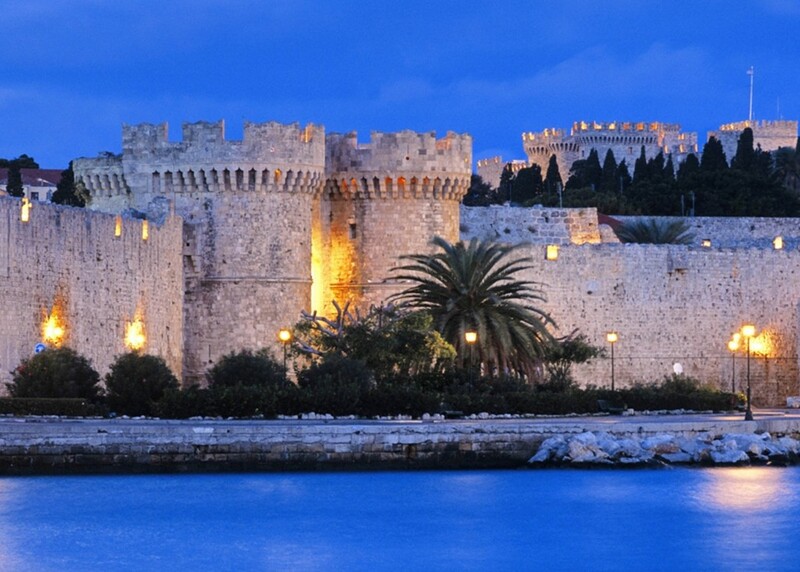 It is more than certain that Rhodes will enchant you. 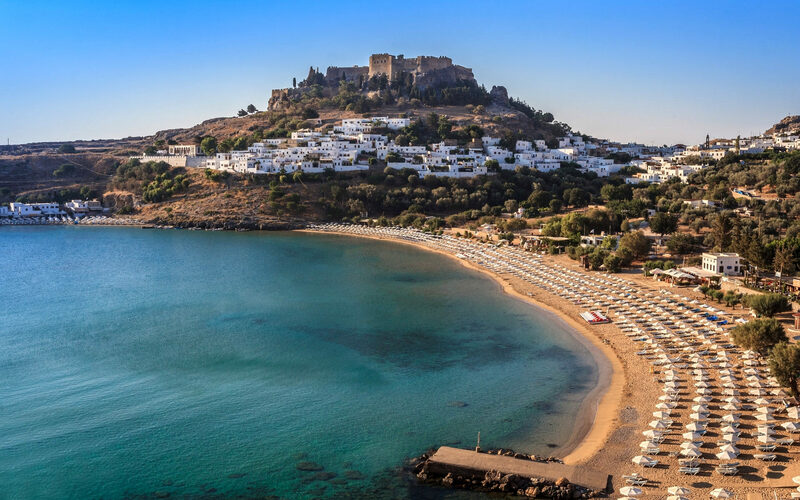 The Old Town of Rhodes, Mandraki, the Lindos Acropolis, the ruins of the ancient cities of Kamiros and Ialyssos, the Valey of the Butterflies, Filerimos. Long history and countless attractions. 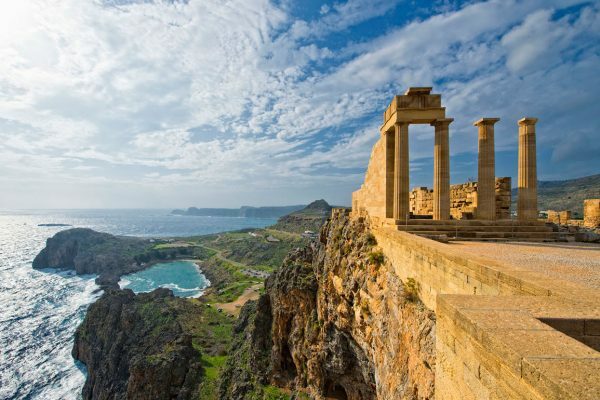 In the Dodecanese, you will be introduced to an island and a part of nature …scandalously generous. According to tradition, in the place of the dears at the harbour, once stood the Colossus. The ships sailed under its legs and the passage was closed at night with a chain. 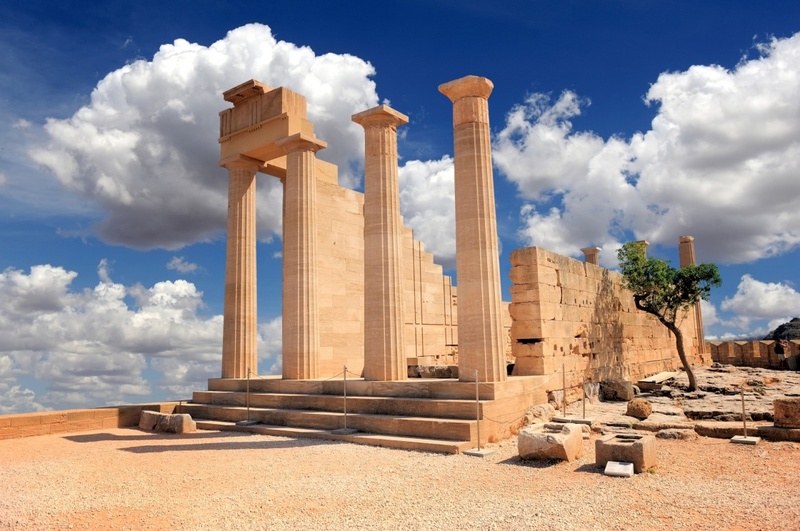 It is one of the most extraordinary ‘stories’ the Aegean Sea has to tell! The ancient acropolis of Lindos, one of the most popular pilgrimage sites of antiquity, enclosed by the walls of the Knights, stands at an altitude of 116m. Here you will admire the impressive temple of Lindian Athena, built in Dorian style the 4th century B.C. 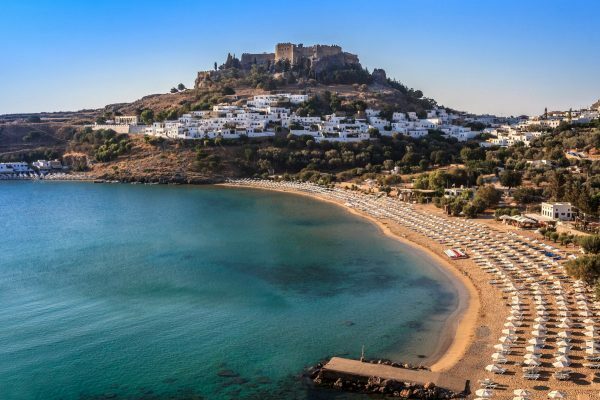 The most popular and favourite destination for young British tourists in Rhodes. Here excitement runs high, the music is loud and the alcohol…flows. A paradise for the lovers of adrenaline with all the water sports. In a lush canyon there is a forest unique in Greece with oriental sweet gums, trees that look like sycamores. The scent of the juice they secret attract millions of butterflies of the Panaxia quandripunctaria species with the characteristic four orange dots on each wing. It is the modern city of Rhodes at the little harbour of Mandraki where on two tuff columns you will see the symbols of the island: the dear and the doe. At the edge of the pier of the harbour rises the small fort of Saint Nicolas, built in 1464-67. 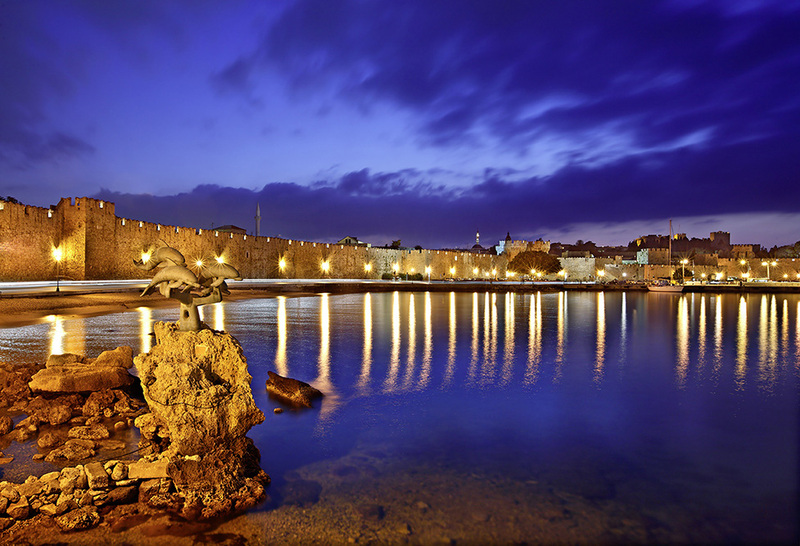 The most famous street of the Old Town of Rhodes is the street of the Knights, restored to the way it was during the medieval period. Here you will find the lodgings of the ethnic groups that comprised the Order of the Hospitallers. The highest point of the street is dominated by the impressive Castello, the Palace of the Grand Master. The Orion Hotel is located at a vantage location on Kallithea Avenue. The pretty harbour is a mere 10 minute walk and from here depart the boats for Rhodes and Lindos as well as boat excursion. The magnificent WaterPark, built amphitheatrically, is situated on the eastern coast of the island across a 100,000 square metre area, 12Km from the centre of Rhodes. The WaterPark offers a wide variety of activities for all ages. The main beach of Faliraki, just 350m away, provides safe swimming at a sandy beach with crystal clear waters (Blue Flag) and a great variety of water sports as well as restaurants and tavernas with sea view. Taxis operate from the airport and the harbour for quick transportation. The buses (from the Rhode-Mandraki bus depot) make a stop near the hotel on Kallithea Avenue and on the main road Rhodes-Lindos.